6 pieces. Fried bean curd topped with scallion and flakes. 2 pieces. Fried egg rolls. 4 pieces. Tempura fried shrimp. Avocado, cucumber, jalapeno, spicy crab, spicy tuna, crab mix and tobiko with house wasabi sauce. 8 pieces. Japanese pan fried dumplings. Baked avocado stuffed with spicy crab and masago, topped with spicy house sauce. 6 pieces. Jalapeno stuffed with spicy tuna and cream cheese, topped with special house sauce. 6 pieces. Seared pepper tuna. Yellowtail sashimi sliced with jalapeno and ponzu sauce. Traditional Japanese soybean soup with bean curd, seaweed, and scallion. Salad topped with ginger sauce. Fresh avocado. Two pieces per order. Shrimp. Your choice of nigiri or sashimi, two pieces per order. Scallop. Your choice of nigiri or sashimi, two pieces per order. White tuna. Your choice of nigiri and sashimi, two pieces per order. Tuna. Your choice of nigiri or sashimi, two pieces per order. Salmon. Your choice of nigiri or sashimi, two pieces per order. Red snapper. Your choice of nigiri or sashimi, two pieces per order. Crab stick. Your choice of nigiri or sashimi, two pieces per order. Fish roe. Your choice of nigiri or sashimi, two pieces per order. Egg omelet. Your choice of nigiri or sashimi, two pieces per order. Squid. Your choice of nigiri or sashimi, two pieces per order. Octopus. Your choice of nigiri or sashimi, two pieces per order. Yellowtail. Your choice of nigiri or sashimi, two pieces per order. Grilled eel. 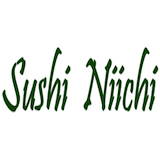 Your choice of nigiri or sashimi, two pieces per order. Flying fish roe. Your choice of nigiri or sashimi, two pieces per order. Snow crab. Your choice of nigiri or sashimi, two pieces per order. Salmon roe. Your choice of nigiri or sashimi, two pieces per order. Crab meat, avocado, and cucumber with masago. Crab mix with tempura flakes. Escolar, avocado, and cream cheese. Grilled eel, avocado, and cucumber. Shrimp tempura and avocado with masago. Tempura onion and sweet potato topped with unagi sauce. Tempura sweet potato and zucchini topped with fresh banana and house special sauces. Salmon and avocado topped with tuna in a unique flower shape, topped with different flavors of tobiko. Crab stick, cucumber, and grilled eel with avocado on top. Spicy tuna and shrimp tempura with salmon, tempura flakes, and spicy mayo on top. Spicy tuna, white tuna, avocado with salmon, tempura flakes, and spicy mayo on top. California roll topped with tuna, salmon, and white fish. Spicy tuna and tempura flakes with eel, avocado, and eel sauce on top. Soft-shell crab tempura kawarri, cucumber, avocado, and masago with eel sauce. Four kinds of Chef's choice fish and avocado. Two kinds of fish, avocado, and cream cheese with spicy mayo (whole roll flash fried). Shrimp tempura and avocado topped with crab mix, potato flakes, spicy mayo, and eel sauce. Snow crab and avocado topped with salmon, shrimp, and spicy mayo. Spicy crawfish and avocado topped with spicy tuna, crab mix, and potato flakes. Shrimp tempura and jalapeno topped with spicy tuna, spicy mayo, and tempura flakes. Salmon, cream cheese, and jalapeno (flash-fry) with avocado, masago, and spicy mayo. Spicy crab, spicy tuna, jalapeño, avocado topped with wasabi mayo (whole roll flash fried). Philly roll topped with grilled eel and eel sauce. Shrimp tempura, crab mix, avocado, and tempura asparagus with spicy eel sauce. Mango, avocado, tuna, white tuna, and masago wrapped with soy paper topped with sweet miso sauce. California roll topped with spicy baked scallop, ebi, crab, masago, and scallion. Spicy tuna and avocado topped with tuna, tempura flakes, and special spicy sauce. Shrimp tempura and avocado topped with crab meat and spicy mayo. Crab, shrimp, scallop, and fish on rice. Chicken, carrot, and potato in a house curry sauce. Fried chicken steak on rice. Fried fish filet on rice. Crab, shrimp, scallop, and fish with udon. Crab, fish, and scallop noodle soup with veggie and shrimp tempura. Sliced banana fried in tempura batter and served with Japanese ice cream. Sliced apple fried in tempura batter and served with Japanese ice cream. Ice cream wrapped in soft fluffy dough. With your choice of flavor.